Austin Energy’s GreenChoice® program is among the nation’s most successful utility-sponsored, voluntary green-pricing energy programs. View Austin Energy's GreenChoice® sales by kWh starting fiscal year 2004.Go to austinenergy.com/go/greenchoice and austinenergy.com/go/corporatereports to learn more about GreenChoice®.  The Austin Energy Resource & Climate Protection Plan, approved by the Austin City Council in 2014 set a target of achieving 55% renewable resources by 2025. View the measures of how Austin Energy is meeting its commitment starting in 2006. Go to http://austinenergy.com/go/renewablepower to learn more. Austin Energy Green Building education programs reach out to the entire community — from the casually interested to building professionals. This spreadsheet includes the number of attendees at seminars, classes, tours and other events. Learn more at http://greenbuilding.austinenergy.com.